U.S. hedge fund Elliott wants better governance from the South Korean auto conglomerate, $11 bln returned to investors and higher dividends. Fair enough. As for structural changes, though, limitations on financial subsidiaries mean Hyundai is less likely to alter course. Elliott Management on April 23 criticised Hyundai Motor Group's planned restructuring and unveiled a detailed counterproposal. Two of the U.S. hedge fund's investment affiliates, Elliott Associates and Potter Capital, said they owned stakes of more than 1.5 percent in each of three listed Hyundai units, Hyundai Mobis, Hyundai Motor Co and Kia. The holdings are worth more than $1 billion combined. The largest of the three companies, HMC, has a market value of nearly $37 billion. 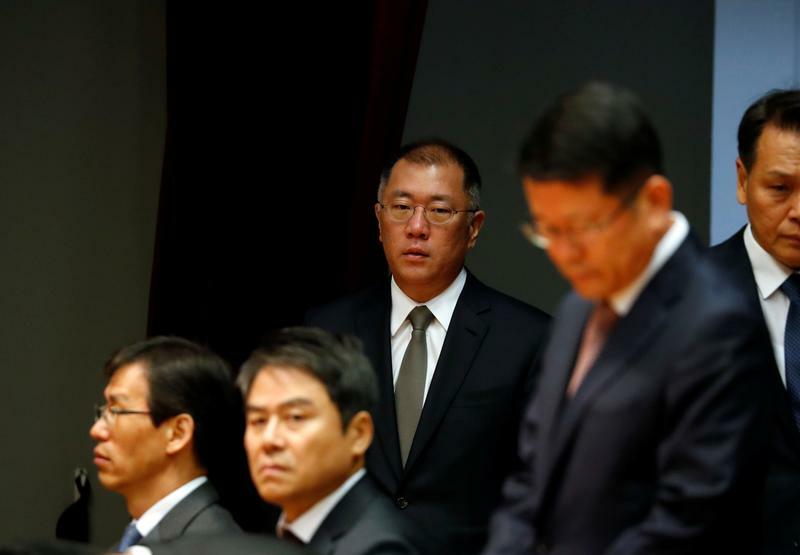 Shareholders are due to vote on May 29 on Hyundai’s plan, which would see auto-parts manufacturer Mobis swap two businesses for stock in another company, Hyundai Glovis. Elliott argues this move would be “inefficient in terms of tax and capital structure” and would undervalue the units being transferred. The investor would prefer to see a four-stage corporate restructuring by South Korea's second-largest chaebol, or family controlled conglomerate, by assets, beginning with a merger between Mobis and HMC to create a formal holding company, a common step in chaebol reform. It also called for each of the two companies to make a one-off payment of 6 trillion won ($5.6 billion) to shareholders. It would like to see Mobis, HMC, and Kia provide clearer and more generous policies on dividends and buybacks; and implement stronger, more independent boards. Shares in Hyundai Motor rose 1.9 percent in morning trading in Seoul on April 24, to 162,500 won. Mobis shares rose about 1 percent to 246,000 won, while Kia shares were little changed at 31,350 won.